Are you looking for a lightweight travel trailer that’s easy to tow, yet doesn’t skimp on amenities? Do you want to feel like you’re outside, but aren’t quite into tent camping anymore? 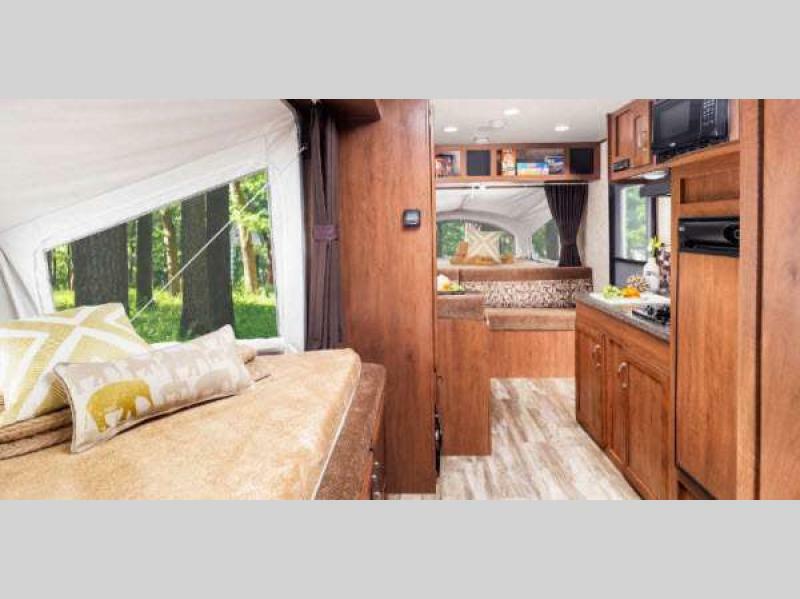 If so we think you will love the Jayco Jay Feather. 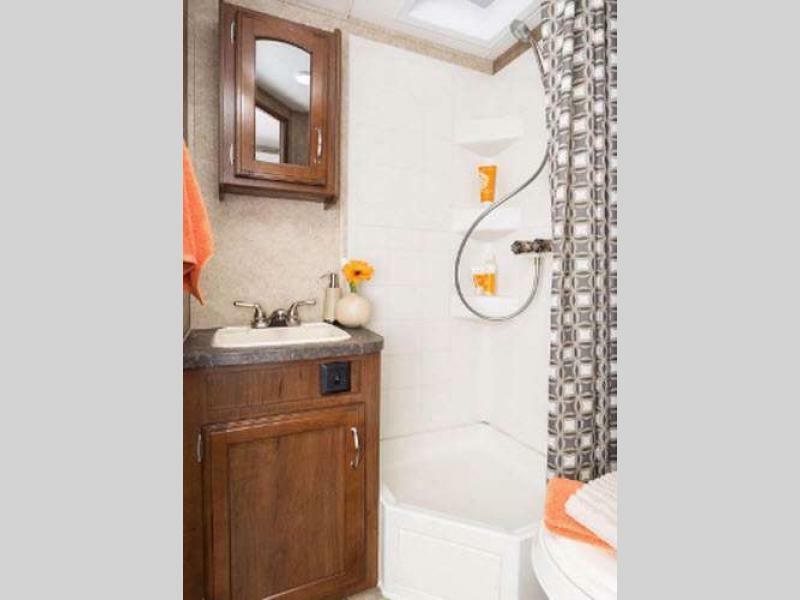 This RV offers everything you need and then some. Learn more in our Jay Feather review. Just because you’re looking to enjoy the great outdoors doesn’t mean that you don’t deserve modern amenities. You’ll love how every Jay Feather floorplan comes with a spacious bathroom that offers storage for all of your toiletries. Getting ready for the day is a breeze in this comfortable, inviting space. A spacious kitchen is a must if you plan to truly enjoy yourself while RVing. 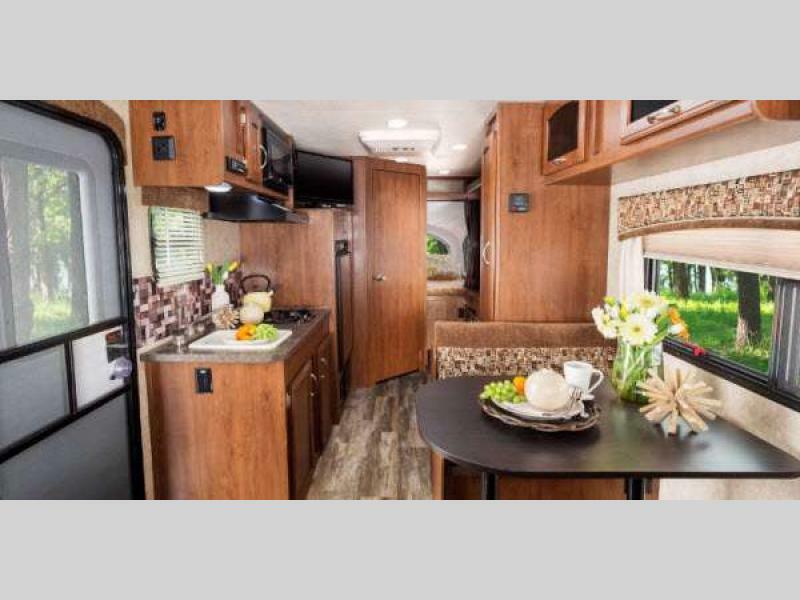 Jay Feather manages to pack a wide range of useful features into this kitchen, without weighing down the RV. Cook amazing meals wherever you are or reheat leftovers and chill while watching a movie. The Jay Feather living area was made to provide you with a delightful, comfortable living experience wherever you are. Whether the family is playing a game, watching a movie together, or simply lounging and reading a book, this space was designed to make you feel right at home. If you’re interested in learning more about our selection of Jayco Jay Feather travel trailers for sale, contact us. We’ll answer any questions you have and make sure you’ve got the information needed to make the best decision for your needs. We can also assist with RV financing.